We are so excited to join our friend Karyn over at Teach Beside Me as she complies a week's worth of Spring Learning and Play activities! Stop over and see what has been added to her spring themed blog hop. Have you done any Spring-themed activities? Link them up! We have been loving the warmer weather recently. Digging up worm, running around the yard, and playing in the dirt is happening daily around here! 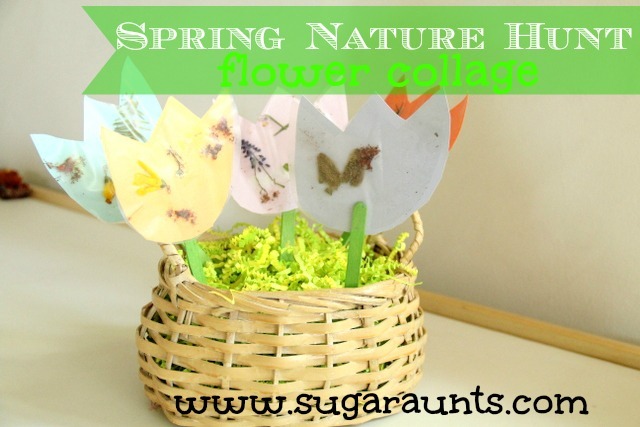 When we got back to the house, we did a little crafting with our Spring Treasures. I cut out some tulip shapes from cardstock and contact paper. The kids created a collage of our collected items. Baby Girl (18 months) loved this activity! 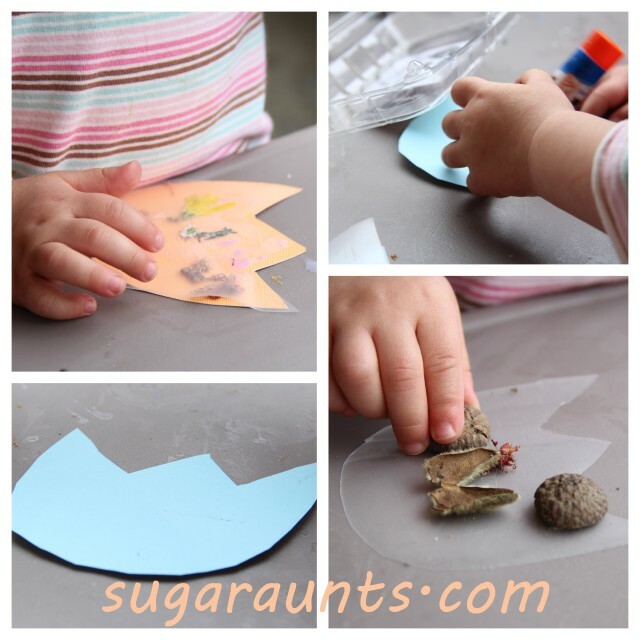 The kids stuck the nature treasures onto the contact paper and we glued the cardstock to the contact paper to keep the little bits in place. 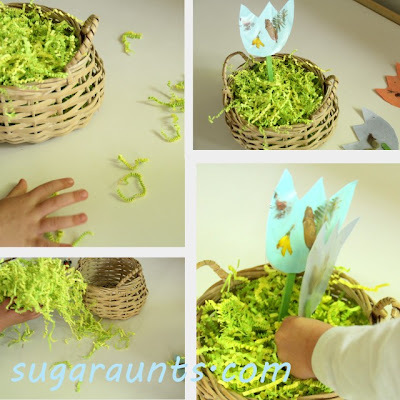 We taped a green popsicle stick to each flower and placed them into a basket of paper filler. It's a pretty Spring reminder of our fun Nature Hike! Have you gone on a Nature Hike this spring? Found any treasures? What did you do with them?